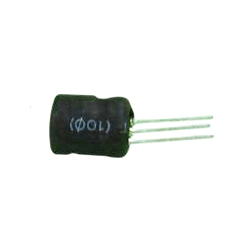 Manufacturer and Supplier of Various Capacitors. 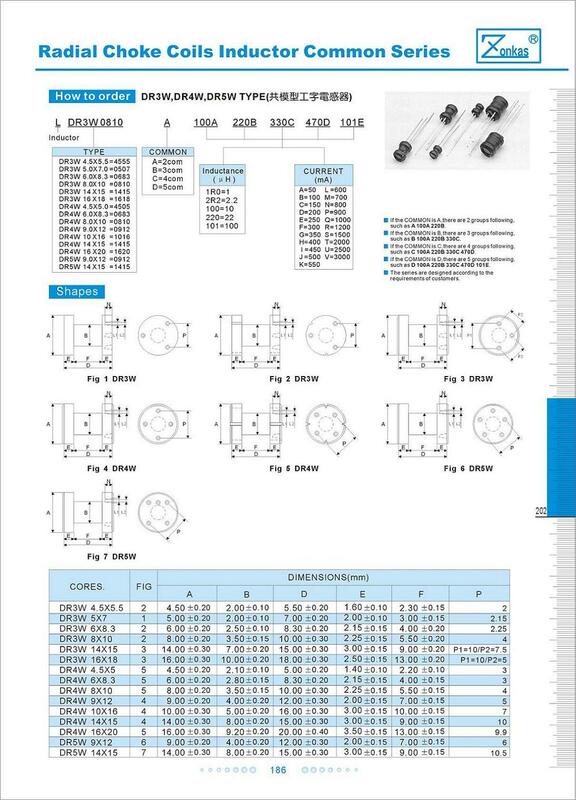 The features are to use high frequency choke with large current, good realibility and wide inductance range. Add sleeves (UL sleeve or PVC sleeve) is available. The application are for power supply, DC inverter, radio, phone, walkie-talkie etc wireless transmitter and electronic toys, computer, computer peripheral, air conditioner and industrial equipment. (1) For DR3W (3 groups common) are 4.5x5.5, 5x7, 5x8.3, 8x10, 14x15, 16x18. (2) For DR4W (4 groups common) are 4.5x5.5, 6x8.3, 8x10, 9x12, 10x16, 14x15, 16x20. (3) For DR5W (5 groups common) are 9x12, 14x15. 2. The detail specication are desinged according to the requirements of customers.